The AEM 26-3002C fits some Hyundai Tucson models. See vehicle applications for details. The AEM 26-3002C Charge Pipe is a free-flowing, mandrel-bent aluminum tube charge pipe kit designed to replace the restrictive factory intercooler piping on specific turbo charged Hyundai Tucson models and offer a wide range of performance customization options. AEM charge pipes have been engineered to reduce turbo charged air pressure loss as well as dramatically increase air flow from the turbo through the intercooler. The specialized aerodynamic tube design produces a noticeable horsepower and acceleration gain from your engine. The hot-side charge pipe features a precision machined fitting that accommodates the factory blow-off valve. The cold-side charge pipe has two provisions for 1/8 inch NPT ports for you to optionally add either a water-methanol injection or a nitrous oxide injection along with a temperature/boost sensor probe for these modifications. The charge pipes are constructed from lightweight aluminum with a durable gunmetal gray powder coated finish. For additional horsepower gains and improved engine compartment aesthetics, the AEM 21-783C Cold Air Intake System can be installed into your vehicle as well. 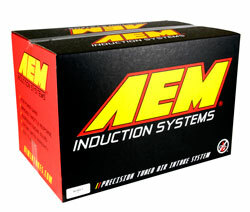 This charge pipe kit is easy to install with commonly available tools and it is backed by AEM's Lifetime Limited Warranty. Charge Pipe, pull really hard after take off from dead stop and gas mileage dramatically improved about 3-5 mpg if driving normal not aggressive but it's worth in long run. I'm glad I have those on my 17' Tucson.